Leonard Bernstein once likened the orchestral conductor to the curator of a museum, the orchestra itself, by implication, being a museum of music that would, in the absence of live or recorded performance only exist in the form of a score. In the field of jazz and popular music tribute bands perform a similar function. Notwithstanding the existence of recordings, we will never again be able to hear the sound of the original big bands in live performance but these are recreated for us by the likes of the Syd Lawrence Orchestra and whatever we may think of the outcome it represents an important means of preserving both the music and the necessary skills required to play it. 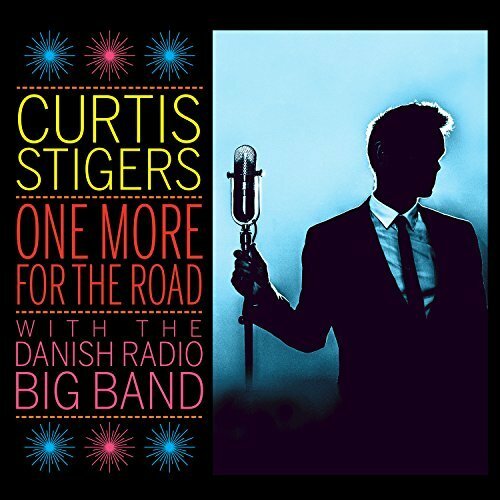 In the disc at hand, one- time soul/pop turned lounge singer, Curtis Stigers, tries his hand, with the help of the Danish Radio Big Band, at recreating the classic Sinatra/Basie album `Sinatra at the Sands` (even to the extent of emulating the cover art) adding versions of `Summer Wind` and `They Can’t Take That Away from Me` to eight of the tunes that were featured in the original 1966 concert. This too is a live recording, something of a regular gig in fact, performed annually in Copenhagen and cleaves closely to the original in terms of band arrangements and vocal delivery in spite of the publicist’s claim that it isn’t meant to be a slavish imitation. Basie’s, or rather Quincy Jones’, arrangements are faithfully reproduced and the band makes a magnificent fist of them though is reduced to a subordinate role with minimal solo intrusions or opportunities to wail. Their job is to support Stigers whose singing style, whist lacking the laconic hipness of Sinatra nevertheless does communicate a world weary croakiness that works particularly well in the bar fly ballad `One for My Baby` which like the original is accompanied by an `after hours` solo piano. It’s all very well done but those who own the Sinatra version may think it a bit unnecessary whilst those who are fans of the singer or desire a memento of the concert will, no doubt, consider it an essential purchase. On the other hand, if it serves to bring an appreciation of Sinatra and his work to the attention of those yet to be initiated it must be considered a praiseworthy enterprise.